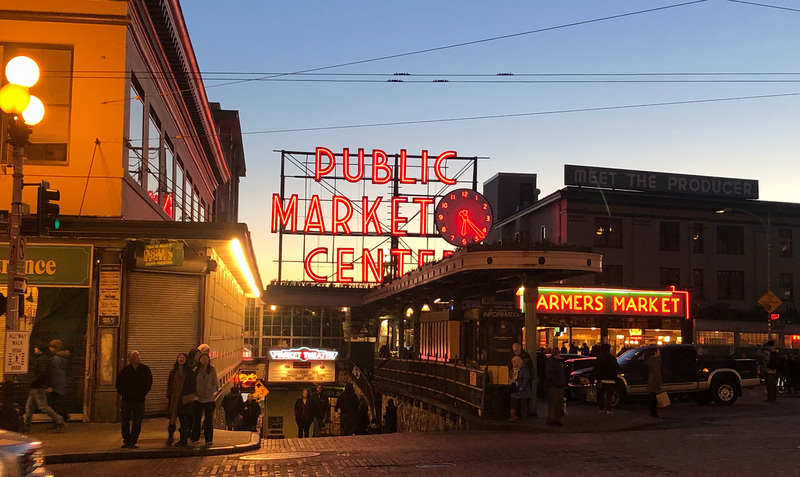 When I visited Seattle in 2018 for the first time in over twenty years, I didn’t anticipate visiting yet again the following year. Ten months later, I find myself back in front of the Pike Place Market, taking in this historic and heavily photographed sign. Lucky for me, the lighting and time of day were just right to capture what was a perfect palette of colours. While I didn’t buy anything on this visit, I did get to try out a variety of spicy pepper jams and took the opportunity to sit for a while and take in the beauty of Puget Sound.